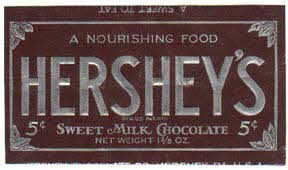 Hershey's Milk Chocolate Bar was invented in 1900. Milton Stavely Hershey first became rich selling caramels. He sold his caramel business in 1900 for $1 million and started making milk chocolate.